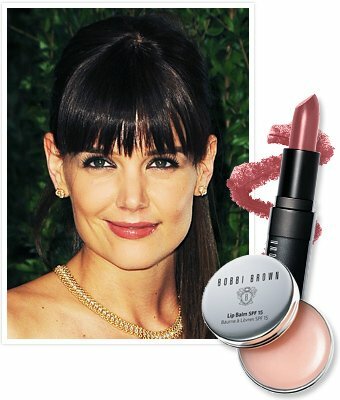 Katie Holmes has become the first ever face of Bobbi Brown Cosmetics. Katie Holmes, 33, who recently divorced husband Tom Cruise after five years of marriage, has signed a deal with the beauty firm which will see her act as both muse and collaborator. Katie Holmes, who favors a bare-faced, almost no-make-up look, is a perfect fit for the cosmetics company, which also shares a natural aesthetic. According to Bobbi Brown executives, as well as being the first celebrity face of the 21-year-old brand, Katie Holmes name will appear on a capsule collection of fall 2013 cosmetics. She told WWD: “This is my first foray into beauty products and the evolution of a look. Katie Holmes, who founded the line with stylist Jeanne Yang, will join the likes of Diane Von Furstenberg and Donna Karan at Mercedes Benz Fashion Week at Lincoln Center on Sunday. Katie Holmes explained: “When you go in and you show your clothing, you think that they’re going to buy the whole collection. And when they don’t, you’re like, <<What do you mean? It all goes together. So what do we do with this?>>. The Holmes & Yang pieces, which she described as “just nice, well-made luxury items that highlight the woman wearing them”, range in price from $700 to $3000. “We use a lot of silks and leathers and suedes,” she added, as if by way of explanation. The Holmes & Yang first formal New York Fashion Week presentation and the Bobbi Brown beauty campaign together indicate that Katie Holmes is carving a sophisticated new image for herself, in the wake of her divorce. Katie Holmes is set to star in a Broadway play, Dead Accounts, from November, and has two movies in the pipeline for next year.